HERBAL HENNA POWDER made from pure Henna leaves and rich & rare natural Indian herbs is used for hair conditioning . A regular use of herbal Henna naturally conditions hair and gives strength and shine to the hair. Medicinal value of Henna and other ingredients take care of all scalp disorders. It acts as a hair vitalizer and promotes hair growth. Our henna powder kit is a perfect pack of henna that can be used for applying in palms, hands, legs, etc. Swarnamukhi or Sonamukhi or Sunamukhi are leaves from a tree popularly known as Senna. Henna powder is made from dried leaves and petioles of Lawsonia alba. In its basic form it is a greenish-brown powder, which is mixed with water to form a mud-like paste prior to application. The cosmetic uses of henna do not need to be mentioned. We are the ultimate source for pure natural OM HEENA (Mehndi) powders. 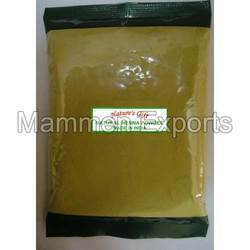 We are one of the leading supplier and exporter of natural powder in packet. We are also engaged in providing the Henna Mehndi Powder to our esteemed clients. These products are prepared from 100% pure raw materials which are directly acquired from the farmland. Available in packing of 900 grams, 450 grams, 225 grams, 100 grams, 20 grams, 10 grams, 5 grams, 50 grams. We are looking queries for Andhra Pradesh region only. We are engaged in offering a wide range of Black Henna which is a misnomer arising from imports of plant-based hair dyes. This Henna is primarily used for making tribal tattoos and is supplied at industry leading prices. We are instrumental in offering Henna Powder, which is reckoned for its zero side effects and herbal value. The range of products enhances the shine of hair and also makes it smooth, silky and strong. Furthermore, products are known for accurate composition, purity and long shelf life and are demanded both in Indian Subcontinent and overseas. Henna is a natural dye made from the tender leaves of the henna plant (lawsonia inermis). Natural henna powder has been used as a mark of celebration on auspicious occasions such as birth, marriage and other festivals. Henna paste has been traditionally used as a cosmetic, natural dye and medicine.